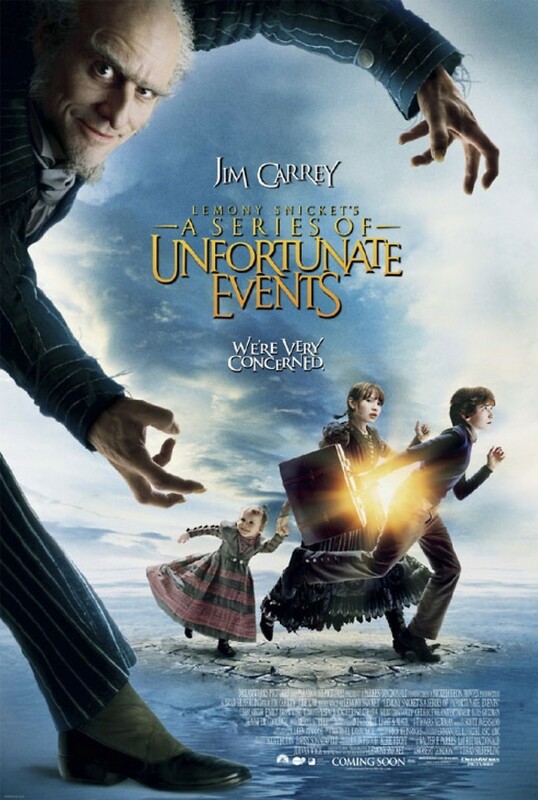 When a fire destroys the home and kills the parents of the three Baudelaire children live with a series of their parent's friends, constantly hunted by Count Olaf, a man after the fortune left to them by their parents. They find a few minutes of happiness with their Uncle Monty before he dies, supposedly because of a giant snake. Then they're shipped off to live with their Aunt Josephine, a neurotic woman who lives on an island. Again, Count Olaf finds them and woos Aunt Josephine, leading to her demise. At last, Count Olaf is given custody of the children and makes a final attempt to steal their fortune.